Please Note! This Website is under construction and some of the features may not function correctly. Please contact us here if you have any queries. 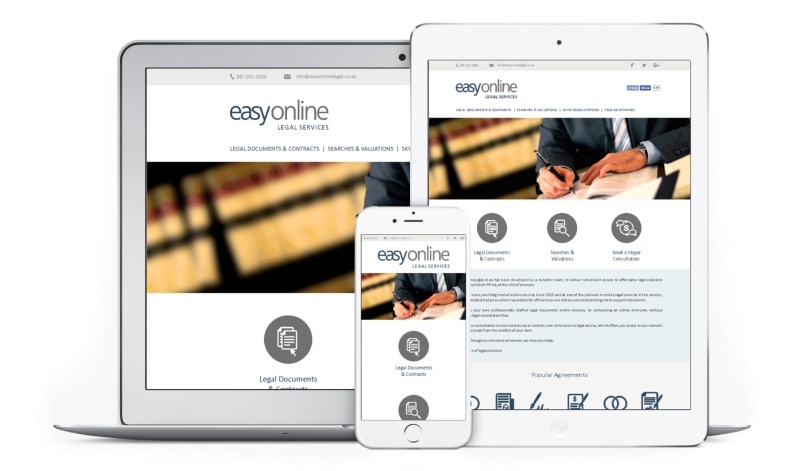 EasyOnlineLegal.co.za has been developed by a dynamic team, to deliver convenient access to affordable legal solutions throughout South Africa, at the click of a mouse. We have been providing trusted online services since 2010 and as one of the pioneers in online legal services in the country, we have established an excellent reputaion for efficient service delivery and outstanding client support nationwide. Generate your own professionally drafted legal documents within minutes, by completing an online interview, without incurring legal consultation fees. Our online consultation service introduces an entirely new dimension to legal advice, which offers you access to our network of professionals from the comfort of your desk. Browse through our site and see how we can help you today. the future of legal solutions!